Cafeteria Learning is a unique model for delivering workplace learning. It rolls together the best of the experiential, constructivist, and action learning approaches and bakes in an important brain-based twist: Choice. Learners are surprised to find interactive stations stocked with hands-on materials. Learners are given the freedom to explore and absorb the content at their own speed and their own direction. Learners have the opportunity to choose from a variety of learner-centered activities, just like they’d choose food in a cafeteria. 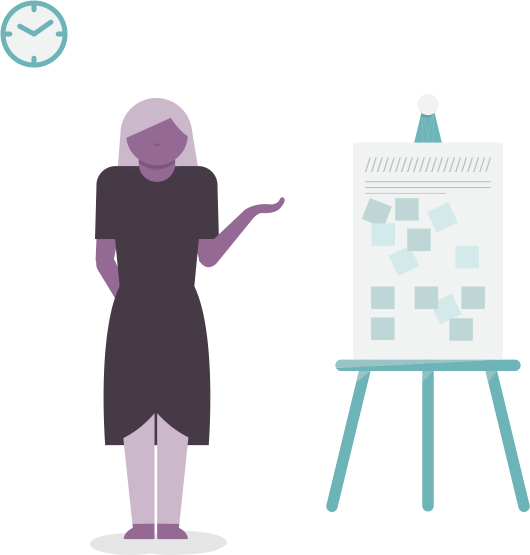 Want a workshop created just for you? We can design a customized Cafeteria Learning experience from scratch that reflects your content and your brand. Prefer to design your own Cafeteria Learning workshop? Our book will teach you how! 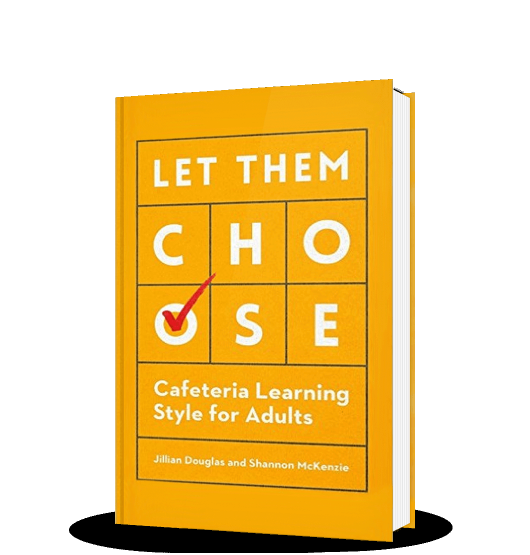 Let Them Choose: Cafeteria Learning Style for Adults, is published by Association for Talent Development. The Power of Choice in L&D. Cafeteria-style learning offers a smorgasbord of learning activities that honors the diversity of the learner. Writing Choice-Based Learning Objectives. Even when given the choice of which activity to complete during training, learners should still reach the same learning destination. I think by giving folks the ability to choose what they learn or the style in which they want to learn, you open them up to learn more, because they’re selecting the activities and they feel empowered. So I think it’s a very powerful opportunity to take ownership of your learning. Yesterday we were in this same space [for a different vendor’s training], sitting in chairs all day long. It was frustrating because I think that people learn better when they’re up and moving. I like the fact that there’s really a focus on people exploring and finding the answers themselves as opposed to you feeding them the information. It's about finding the knowledge inside of you, asking your peers, and working together. Those ‘aha moments’ will stick with me. I will remember that [my group] came together, we disagreed, then at the end we were able to kind of look back and reflect and say, ‘Oh yeah, you know what, there is a different way to look at this, maybe there is a different feeling to those words or to how we approach a situation.’ That’s what I took from it, and I don’t see myself forgetting that, especially since I did it and I didn’t just sit and listen. I made a conscious choice to pick an activity that made me feel uncomfortable because I knew that if I got in my comfort zone, I may not be able to learn more, whereas if I made myself a little bit uncomfortable maybe I could make myself vulnerable, which opens me up to learn. I spoke to several people about the training and everyone was excited and impressed. The collaborative approach was a hit! Call 503-208-3256 or complete this form and we’ll contact you soon.